Some of these links contain affiliate links. Crayola Advent Calendar: This is basically every childhood (and adult) dream come true for me. I LOVE crayons and the thoughts of opening up a new art supply each day is pretty awesome. We have this one to do this year and both my daughter and I are pretty excited to get started! DIY Christmas Advent Countdown: This was made by my friends at My Sister’s Suitcase and I am obsessed! I love how simple and modern this advent calendar is. It fits in with the decor, without it looking like a junky little advent calendar. Love it! 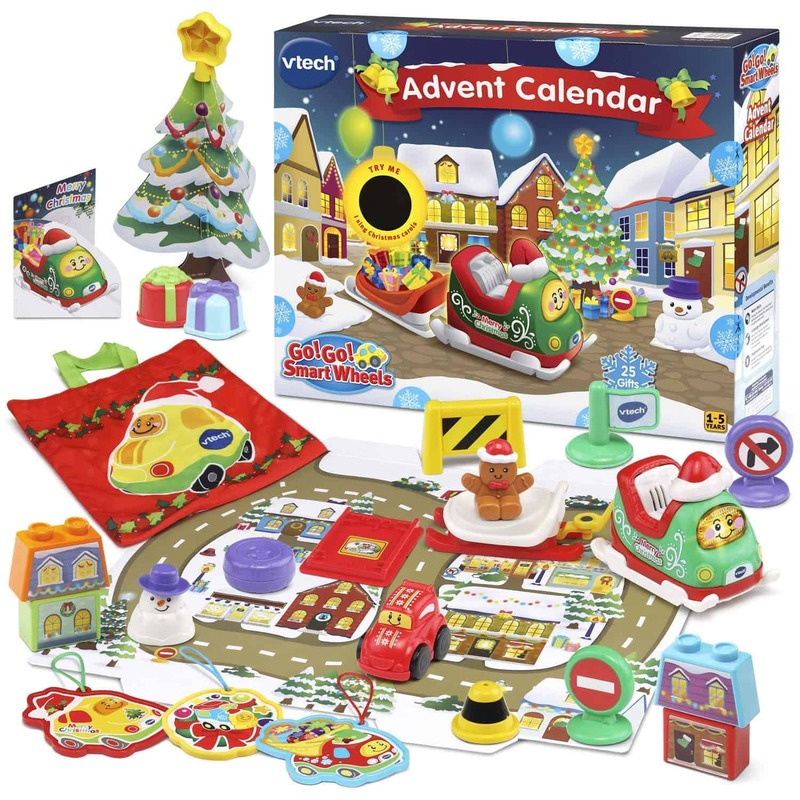 I love how many great things you get with the V-Tech Smart Wheels advent calendars. These would be perfect for young kids. There are items that both boys and girls would love and how fun is it that there are items that can move around?! This would be so fun for kids! 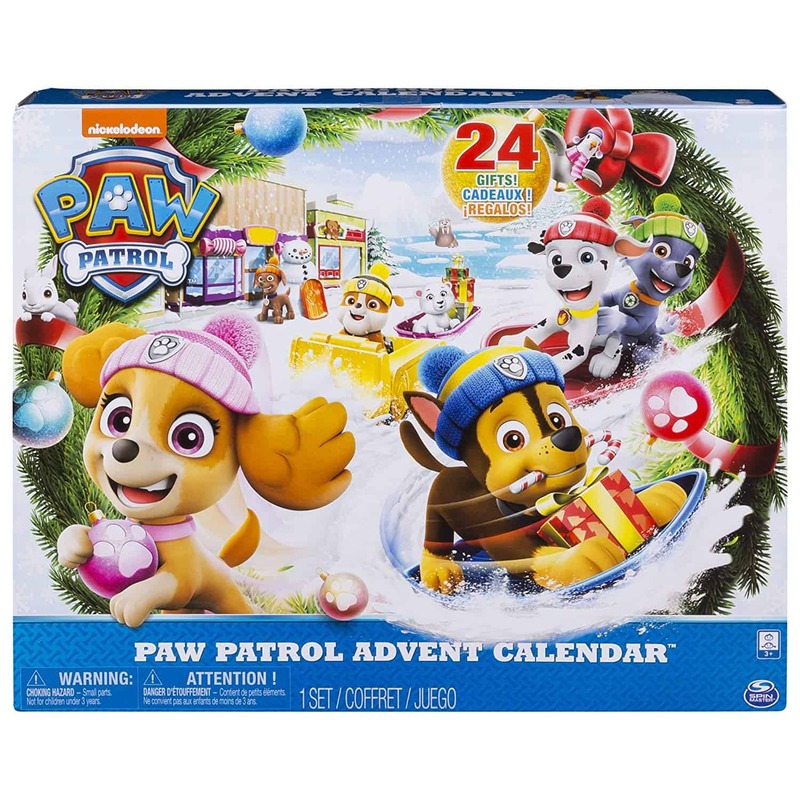 Paw Patrol Advent Calendar: We got this Paw Patrol advent calendar for this year! I love that this one comes with fun little toys that toddlers and little kids would enjoy. 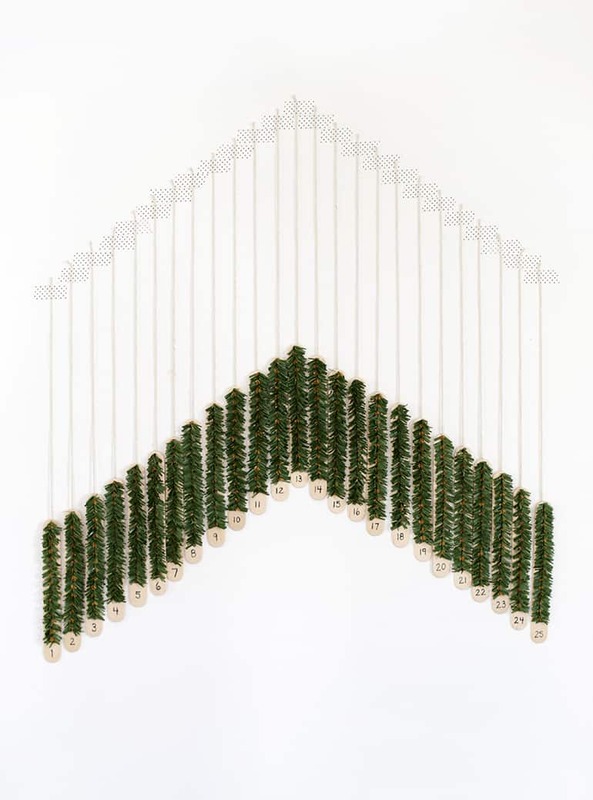 Minimalist Craft Stick Advent Calendar: This advent calendar is so dreamy! I love the minimalist feel to it. It is also so beautiful that you wouldn’t have to be embarrassed about it sitting out because it looks like it goes with your decor. This is fun because you can customize it to have each day be something that your family will enjoy. 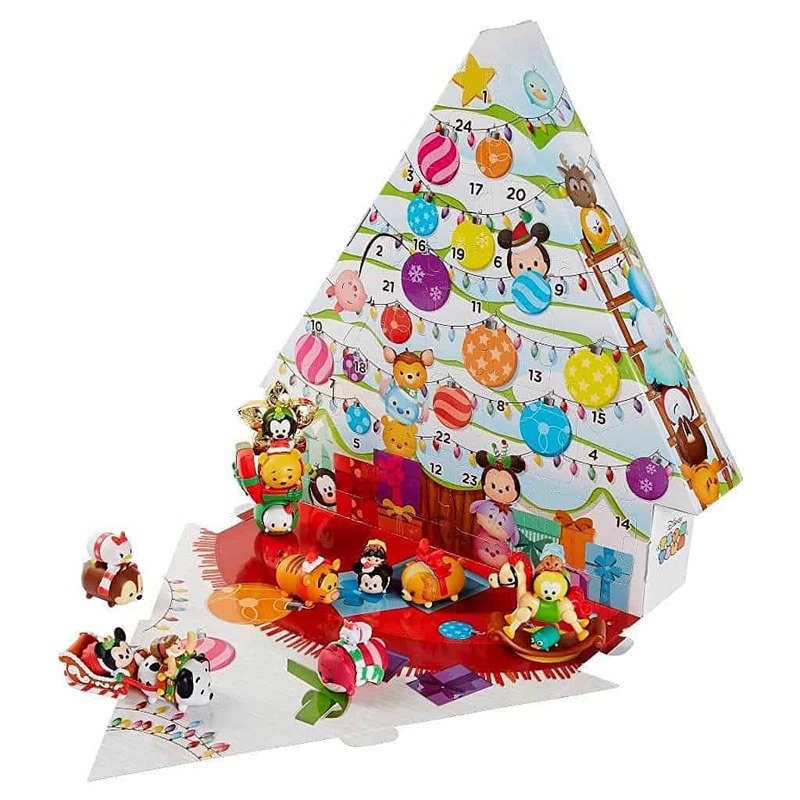 There are a few different styles of these Tsum Tsum advent calendars. Not all of them are available anymore, but sometimes you can track down a good deal on an older one. 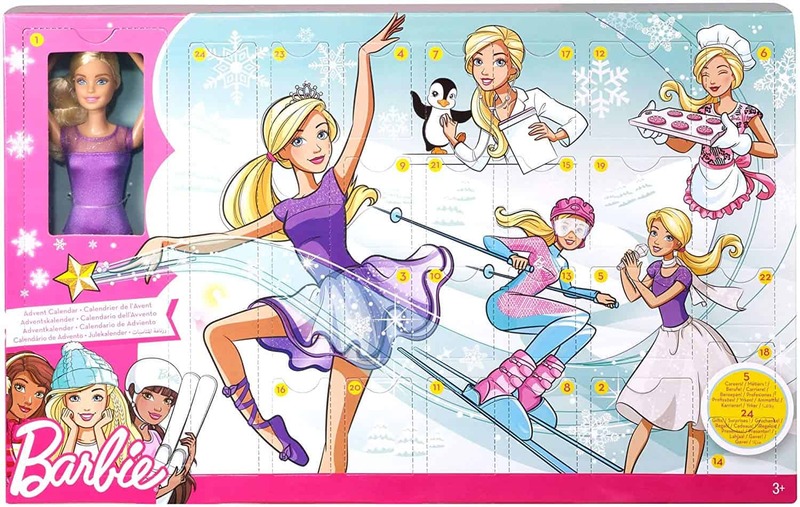 This is another advent calendar that we will be having at our house this year! 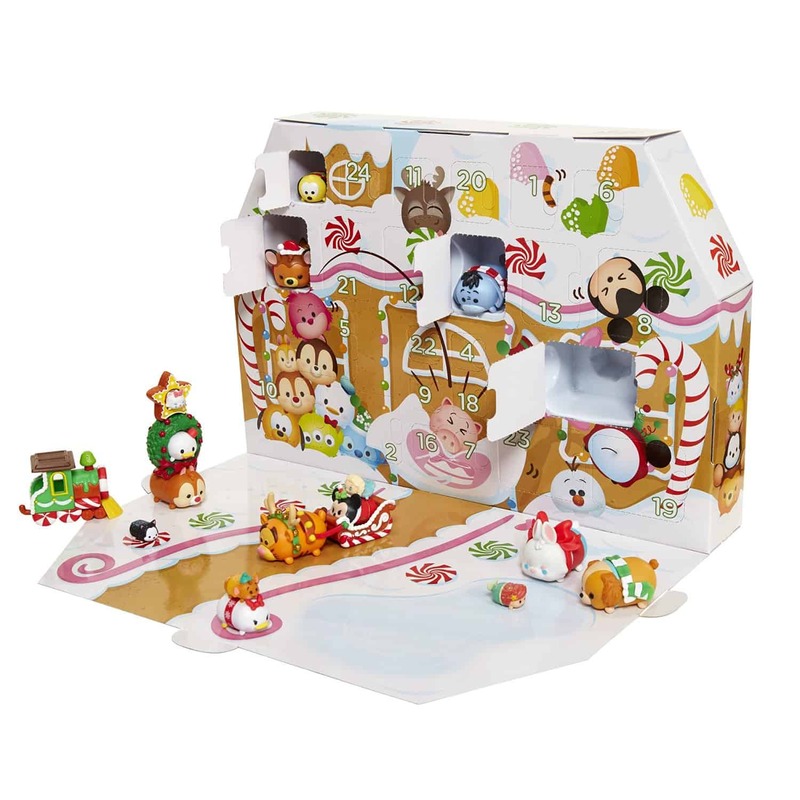 Kids absolutely love these little Tsum Tsum characters and opening up a holiday themed character or accessory each day is such a fun way to countdown until Christmas. Muffin Tin Advent Calendar: This is another advent calendar that we will have at our house this year! 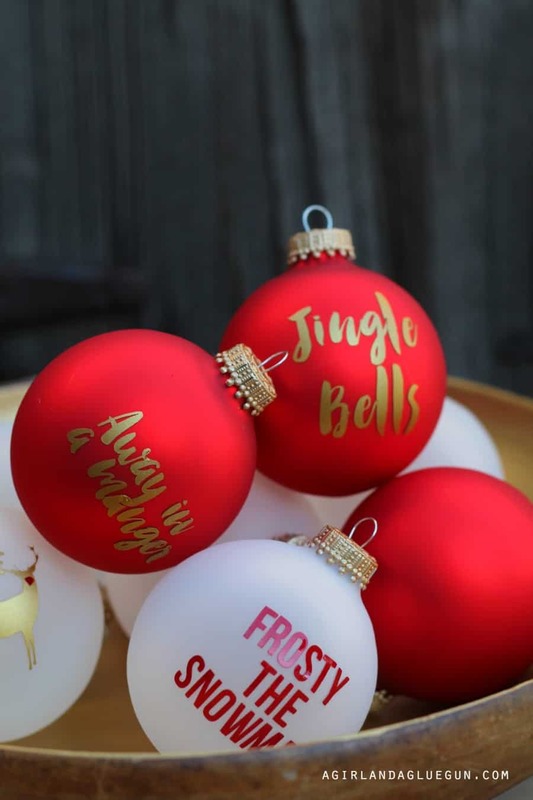 I love the idea of using items that you already have at home to make this Christmas countdown. Instead of filling it with little trinkets, we will be filling it with slips of paper that have activity ideas for each day to help us get ready for the holiday season. I am excited for this one! 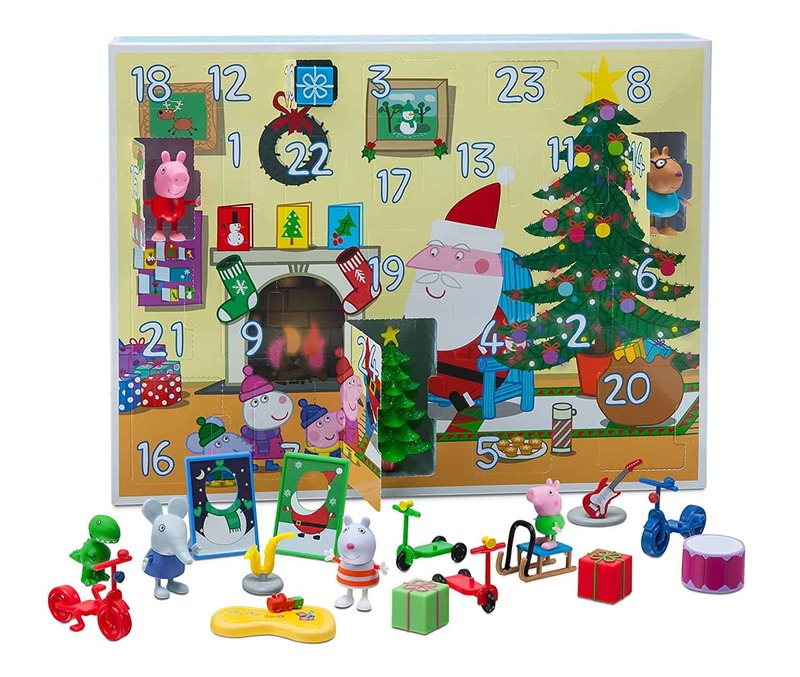 Peppa Pig Advent Calendar: We have tons of Peppa Pig toys at our house! I love that this Peppa Pig advent calendar comes with the same type of high quality toys that their sets come with, so that you aren’t just buying an advent calendar full of junky toys that your kids won’t ever use again. This Peppa Pig advent calendar is too cute! 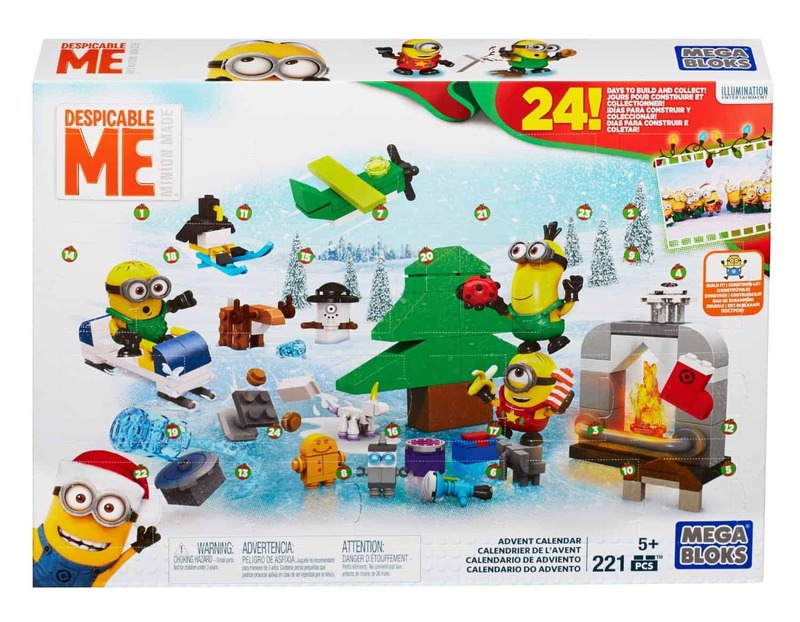 Despicable Me Minions Mega Bloks Advent Calendar: I mean, who doesn’t love Minions?! I love that this has the Mega Bloks so you can build little Minions goodies throughout the countdown. 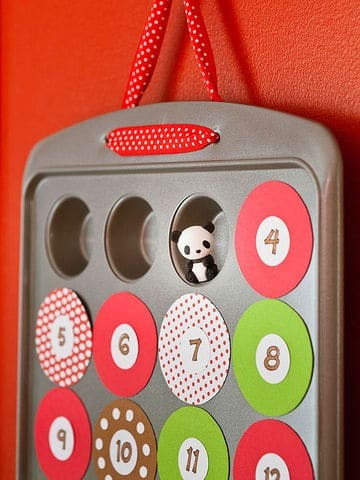 Christmas Carols Ornament Advent Calendar: I love this idea! You put a new ornament on the tree each day as you countdown to Christmas. Each of the ornaments has a different Christmas carol on it. 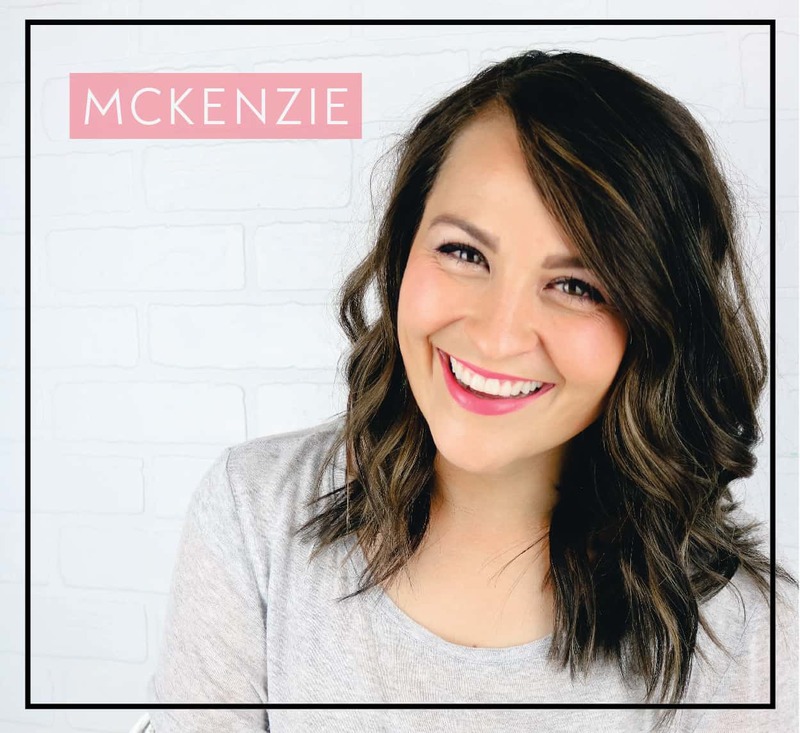 This is a super simple DIY too! 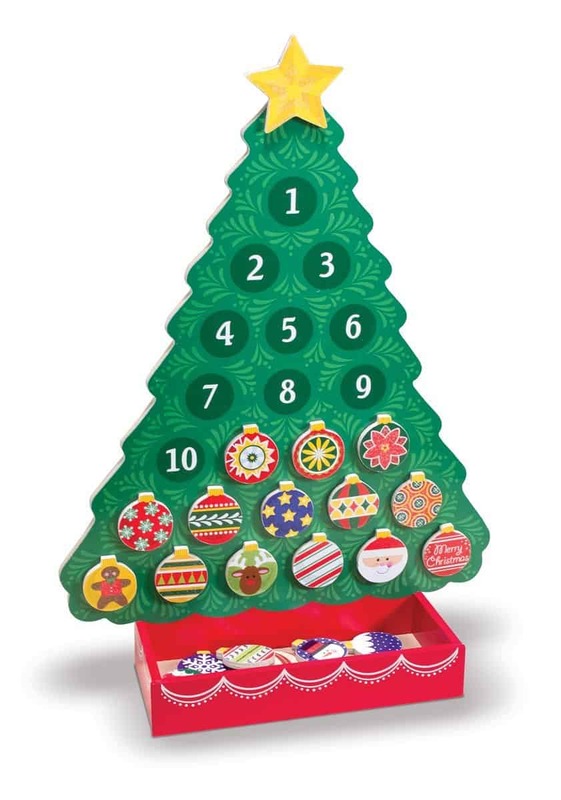 Melissa and Doug Christmas Tree Advent Calendar: This advent calendar is perfect for all ages, it is reusable, and adorable! I love how classic it is to be used throughout the years. 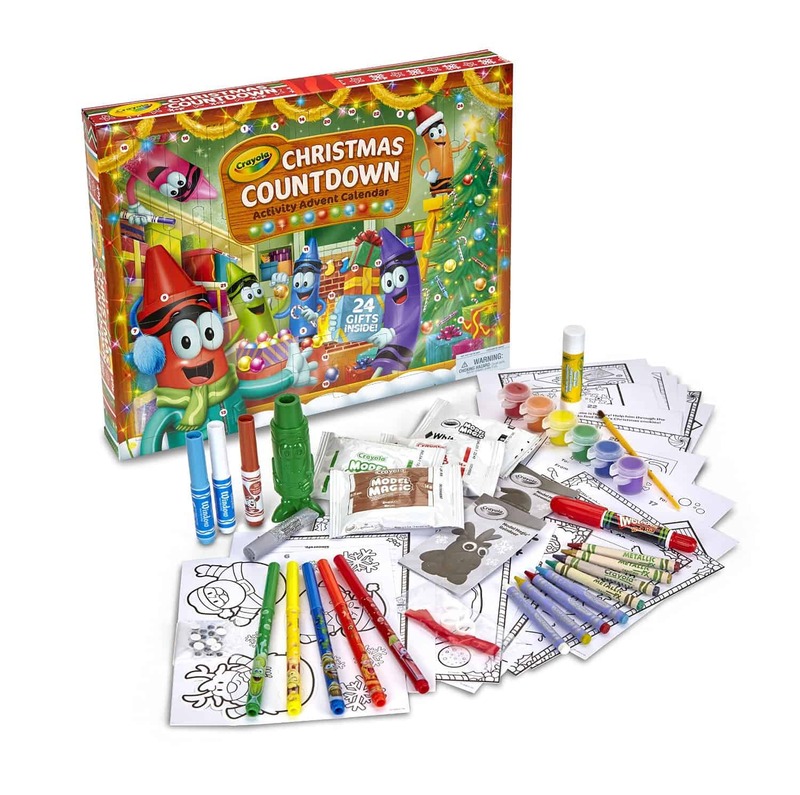 Everything from Melissa and Doug is so well made too, you know you are getting a great advent calendar by getting this one. Let’s just say that if they would have had these when I was a child, this would have been the most exciting part about Christmas for me. 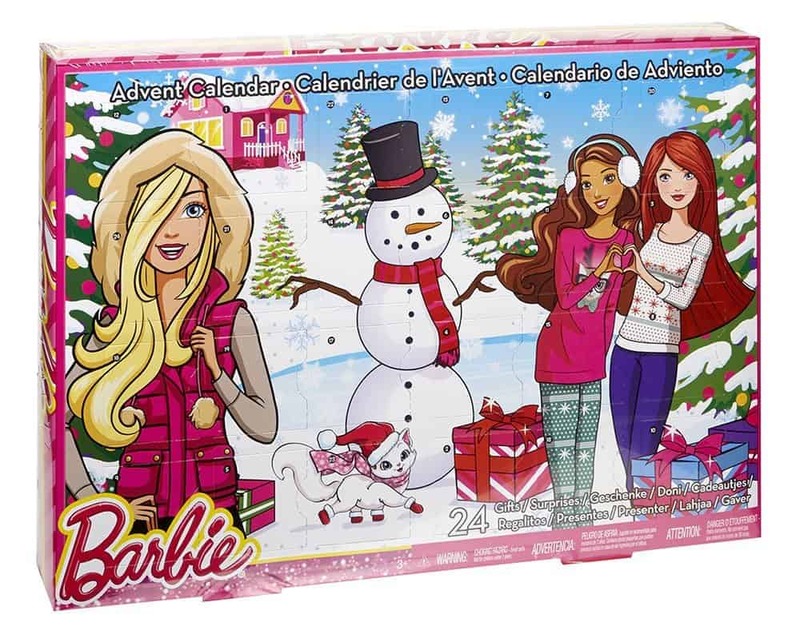 I LOVED Barbies and I think these advent calendars would be so fun! 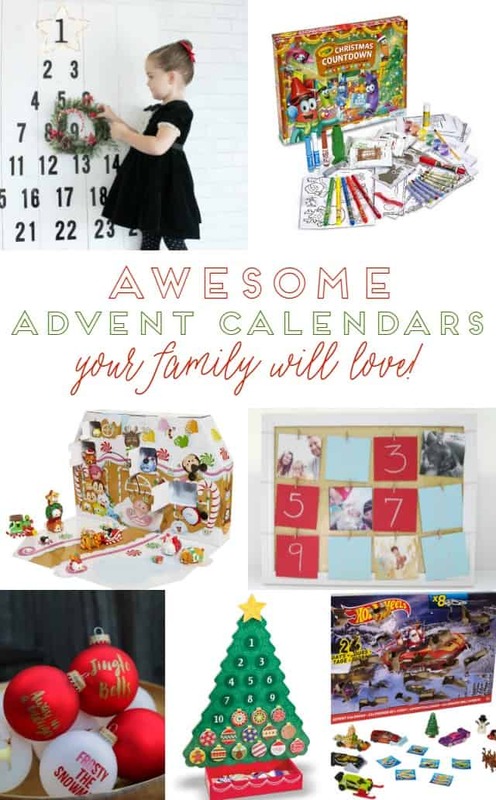 They offer three different varieties of advent calendars. Each one is full of accessories for your Barbies. I can definitely think of a little girl (and her mom) in my house who would love this! 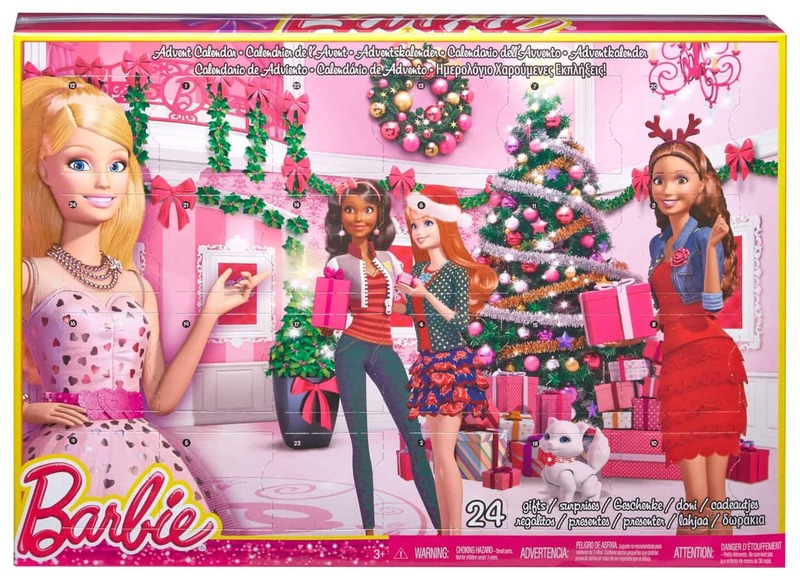 They also have Barbie Advent calendars that have actual Barbies in them! We are trying out one of them this year! 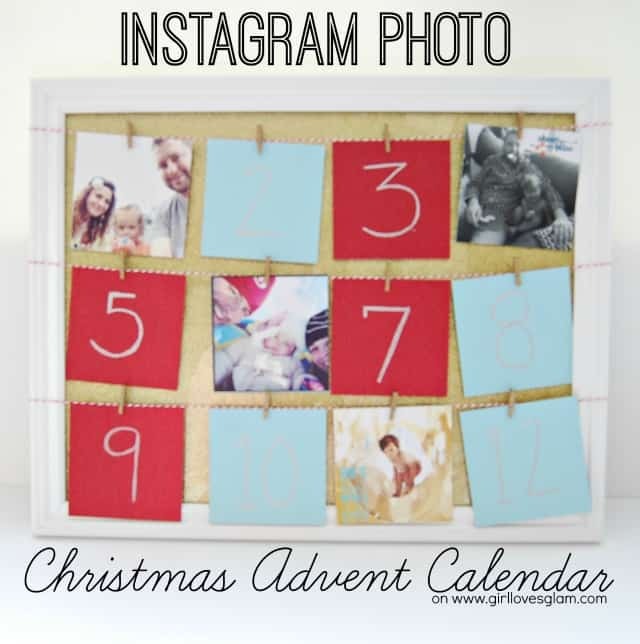 Instagram Photo Christmas Advent Calendar: This was an advent calendar that we did a few years ago and I still love this idea! We printed off 12 photos, one from each month of the year and flipped one of those photos over each day as we counted down until Christmas. It was a fun way to remember the past year’s memories! 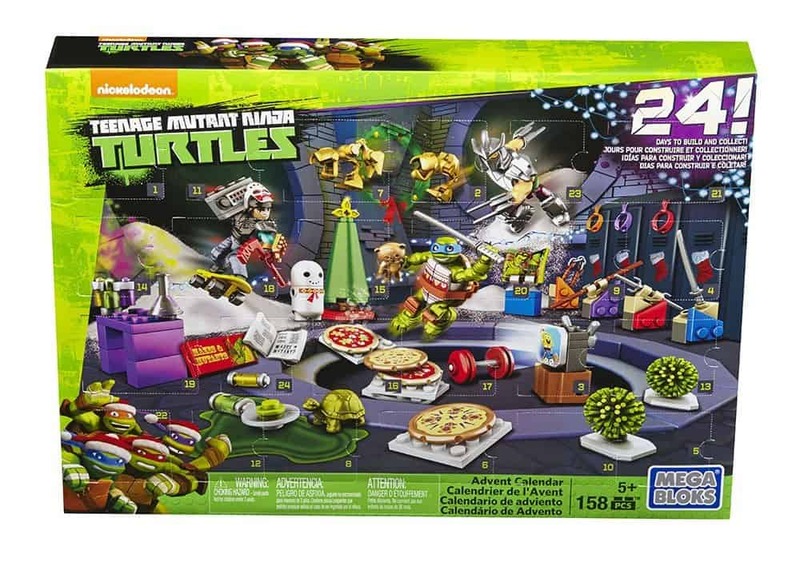 Ninja Turtles Mega Bloks Advent Calendar: I know a certain husband of mine who would have loved this as a kid and probably would still love it as an adult! I love the Christmas sweaters all of the Ninja Turtles are wearing too! Hot Wheels Advent Calendar: I can’t think of many things that little boys love more than playing with cars. 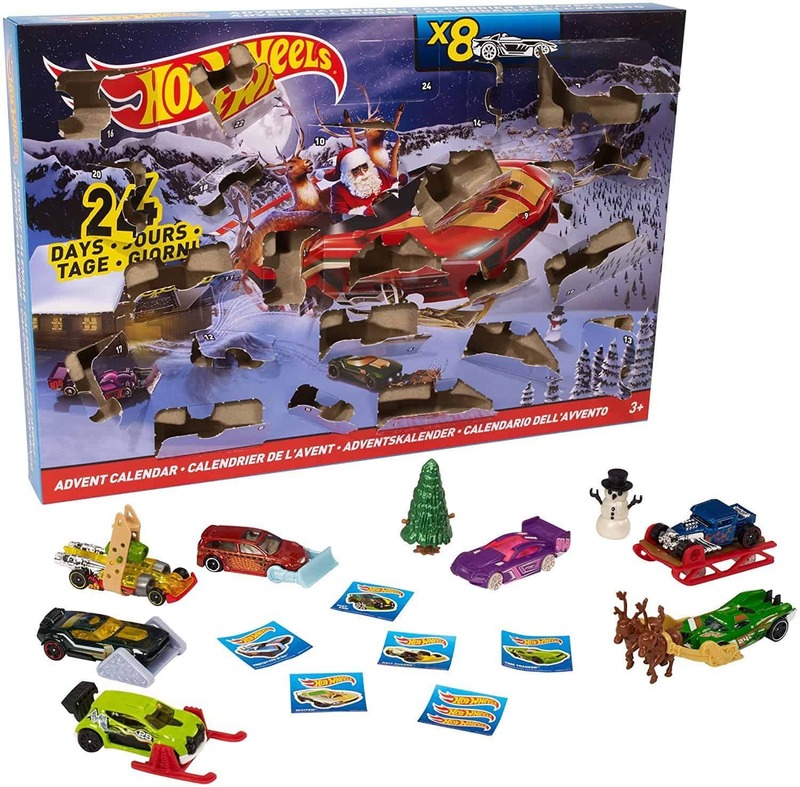 I think opening up Hot Wheels cars each day until Christmas would be such a fun way to countdown! 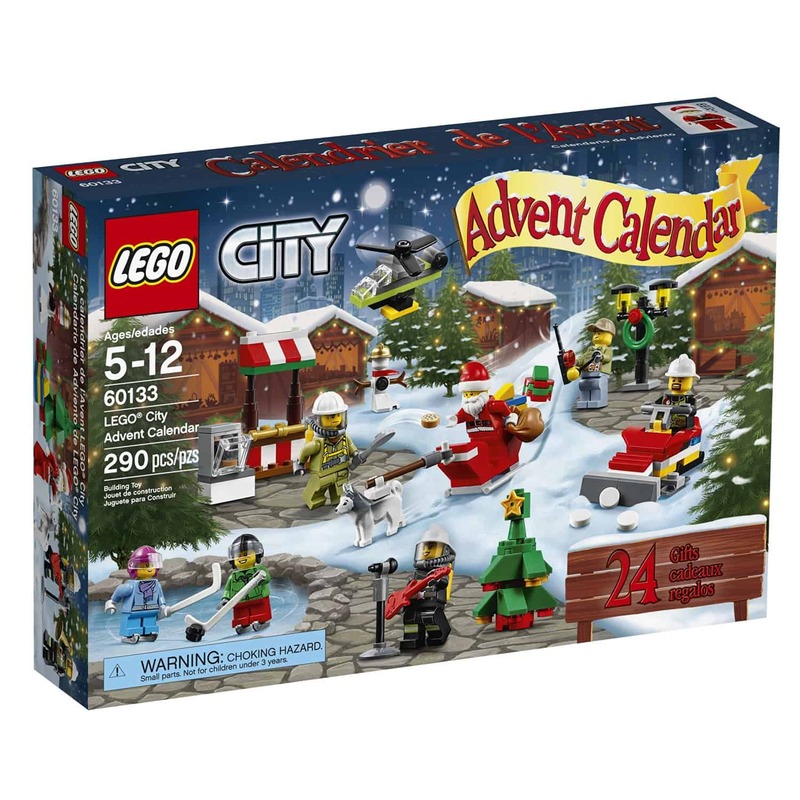 Lego Advent Calendars: Lego advent calendars were the first advent calendars that I saw that toy companies had to offer. My youngest brother would get one each year and he loved it! 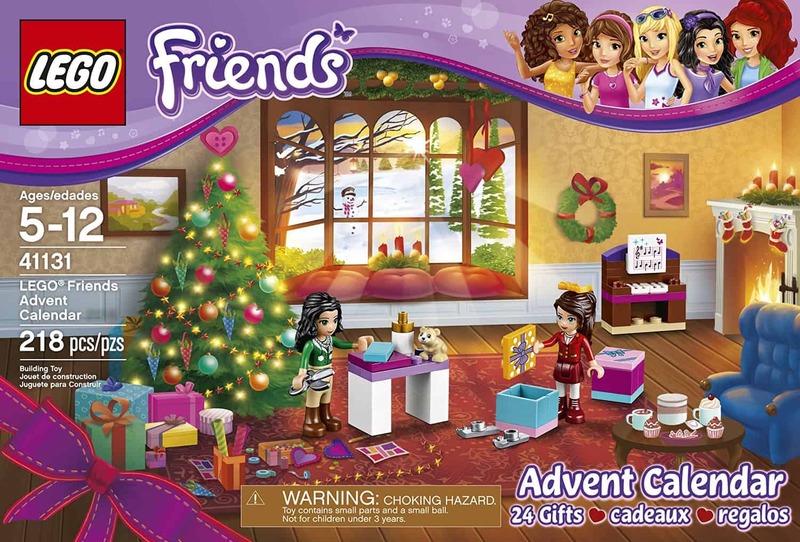 I love that they offer the Lego City Advent Calendar and the Lego Friends Advent Calendar option as well now! 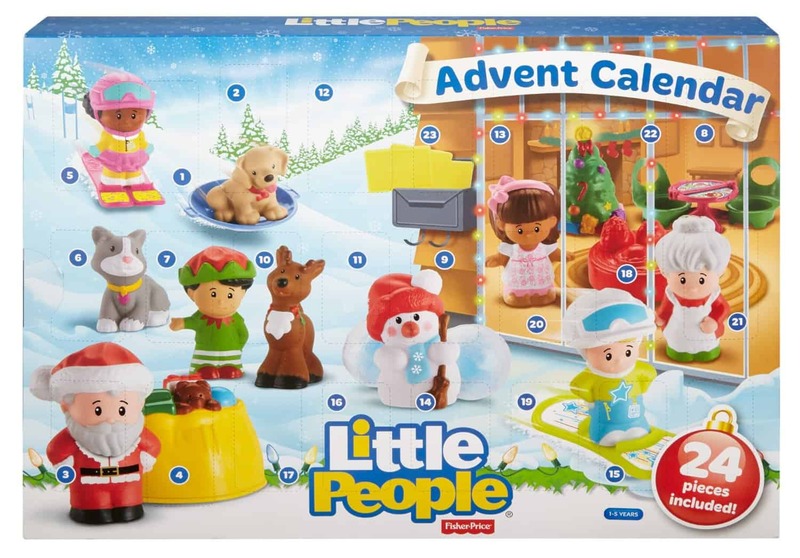 Little People Christmas Advent Calendar: We are HUGE Little People fans at our house. 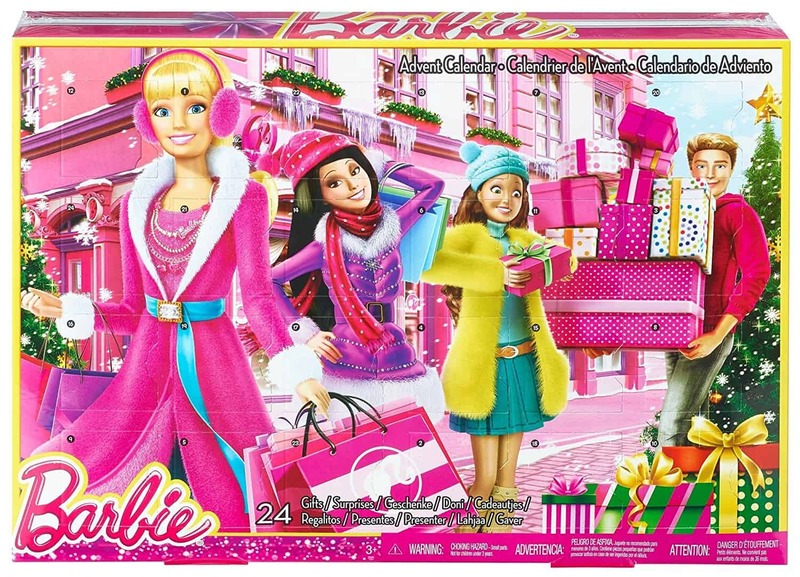 We have so many different sets and these adorable holiday figures would fit right in with our collection! 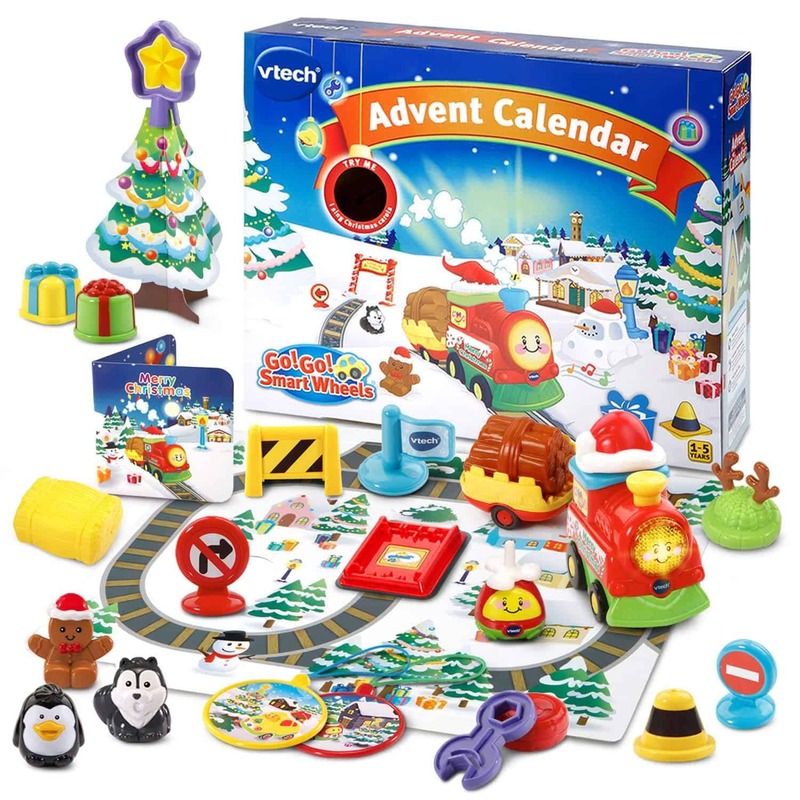 This would be a really great one for younger kids who would be too young for the other advent calendars available. 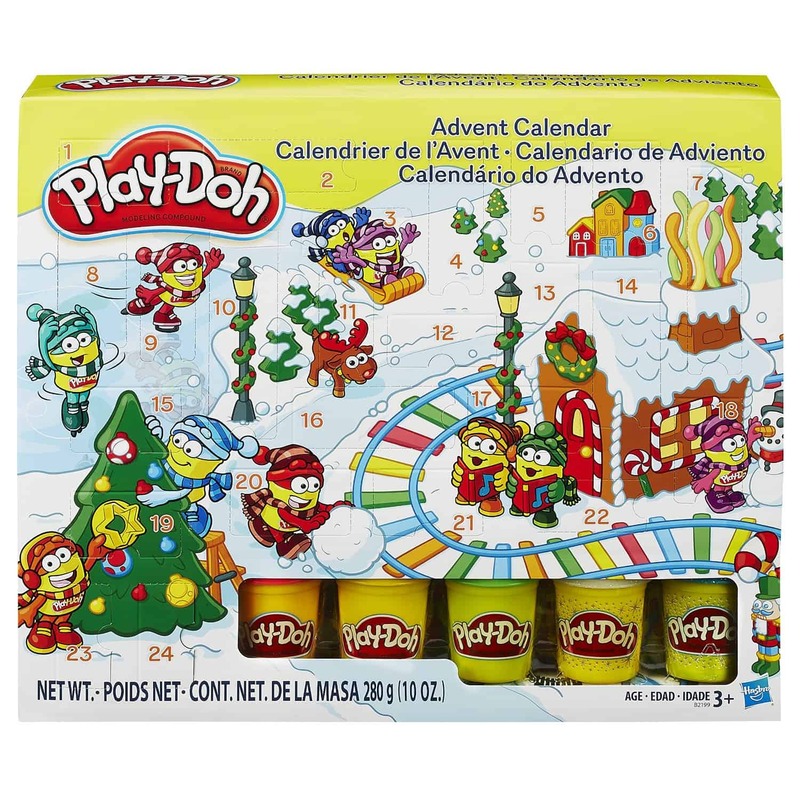 Play-Doh Christmas Advent Calendar: I will be the first to admit that I am not a huge fan of Play-Doh, but I love how much joy it brings when my daughter plays with it. She loves creating things with it and I love to watch her. I know she would absolutely be obsessed with an advent calendar that is full of Play-Doh! Now you are all set to enjoy counting down to Christmas with your families! I hope you are able to enjoy at least one of these advent calendars this year! We are so excited to start the ones that we will be doing this year!